Overview… a street-smart teenager with rock ‘n roll dreams. Joan is tired of being told that girls can’t play electric guitars. Not only does she want to play the heaviest rock music in Los Angeles, she wants to break down gender barriers while doing it. Joan, who always sports greasy black hair and a dark leather jacket, is determined to start an all-girl rock band – all she needs is to find the right collaborators. The talented singer Cherie Currie seems like a good start. Personality… tough, obstinate, and determined. Joan will never take “no” for an answer. Despite her hard-edged exterior, she is incredibly loyal. Being a rocker doesn’t mean that she doesn’t have integrity. 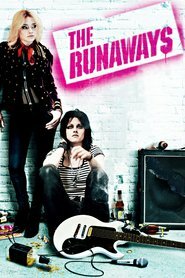 Joan Jett's popularity ranking on CharacTour is #2622 out of 5,000+ characters. See our top-ranked characters and read their profiles.